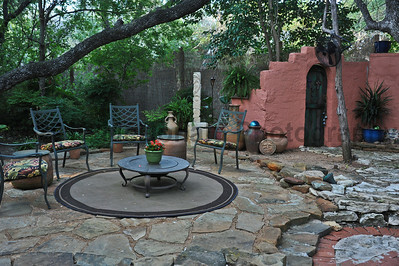 This month’s Hudson Bend Garden Club’s Yard of the Month goes to artist Walter and decorator Kathaleen Allen of 5903 Median. 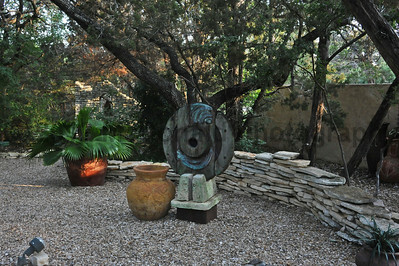 The Allens have lived in this house since 1996 and have added to the landscape plan each year allowing it to evolve as they lived in the house, bringing in various artifacts from that they have found in their travels. 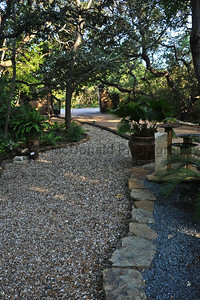 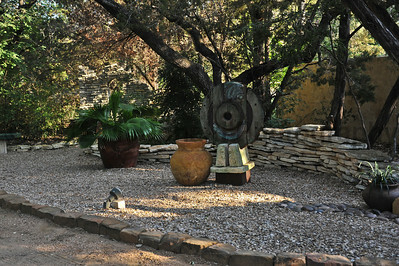 They have done all of the work themselves, including the building of the stucco wall and many of the stone sculptures and water features that adorn the property. 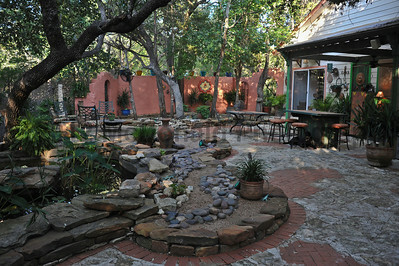 When one drives by, the immediate impression is that this is some place special. 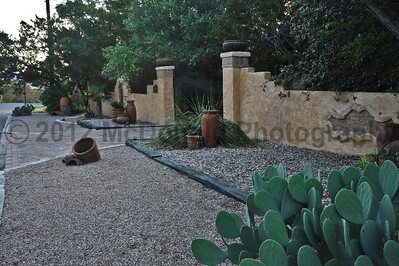 Walking through the front gate, one is magically transported to a colonial era Mexican villa. 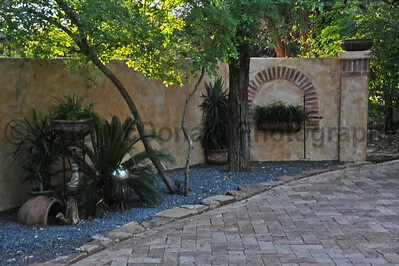 Walking down the intricate herringbone Mexican brick driveway past antique treasures and fountains, one is struck by the many pieces of artwork, textures, colors and surfaces which somehow all meld together perfectly. 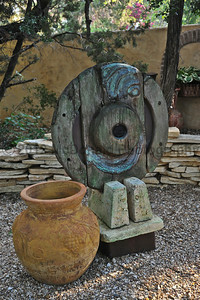 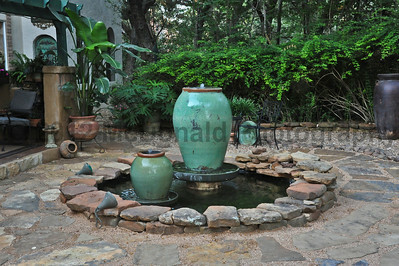 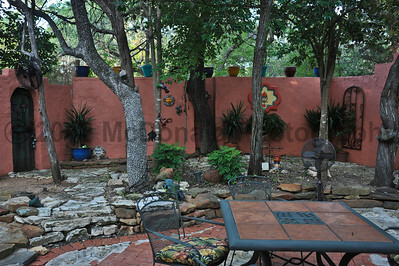 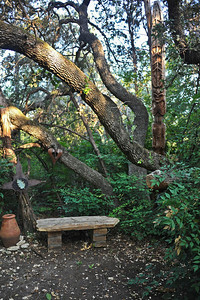 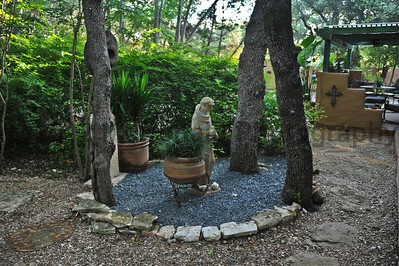 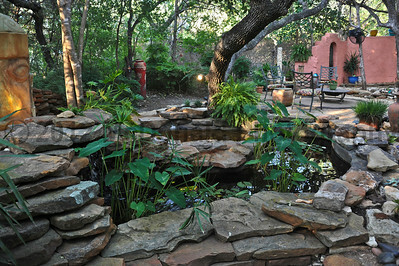 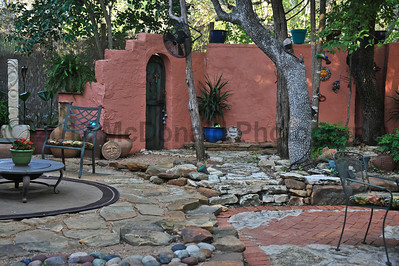 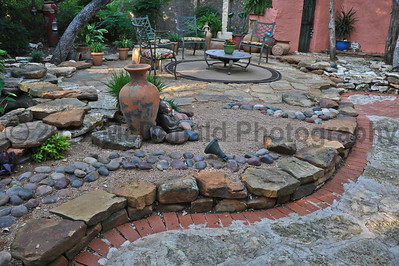 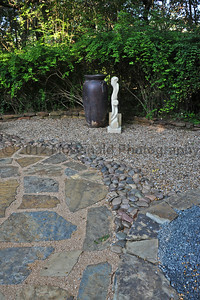 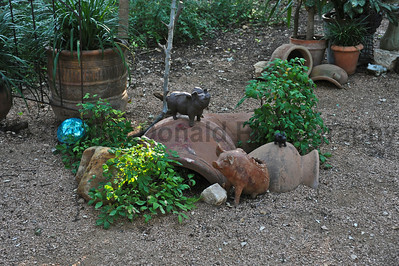 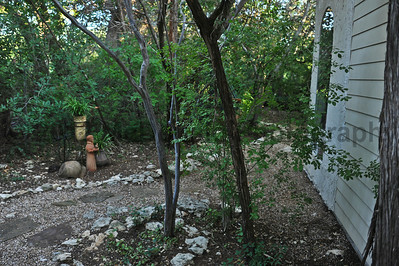 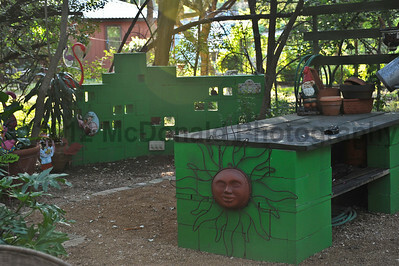 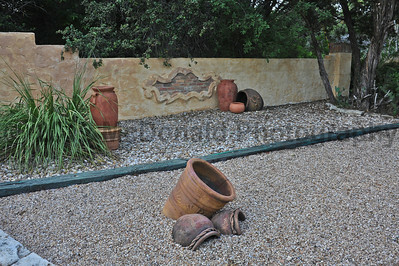 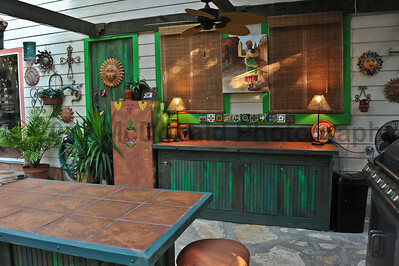 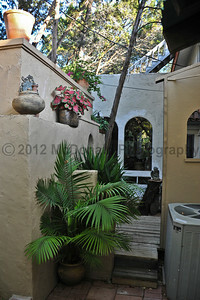 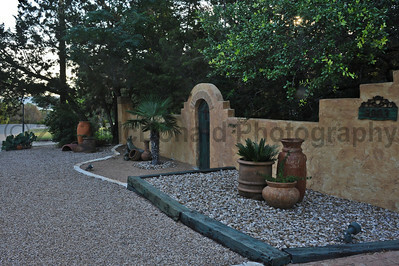 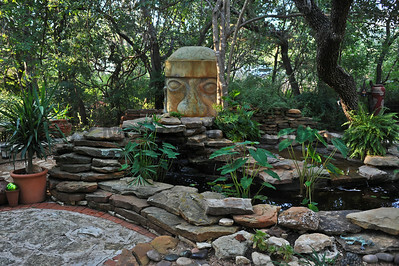 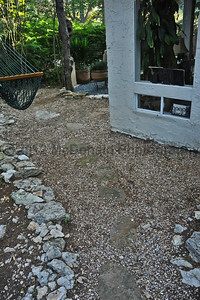 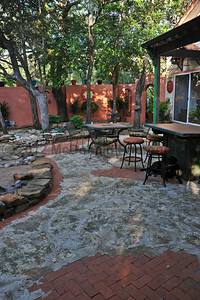 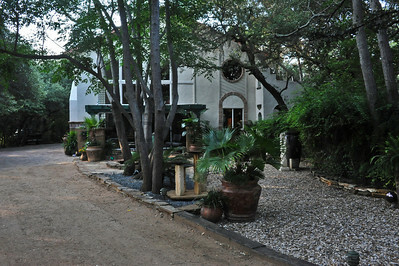 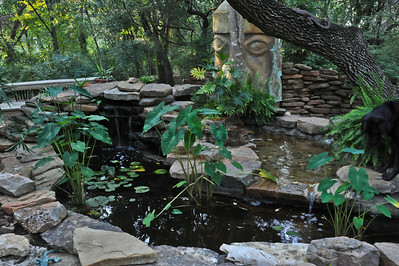 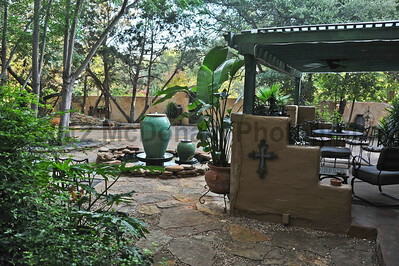 The back yard consists of more artwork, sculptures, a multilevel pond and an outdoor kitchen. 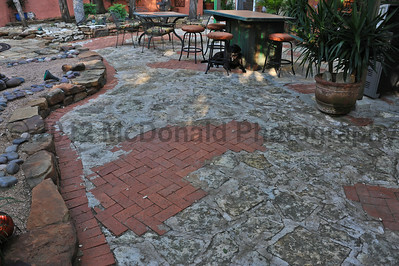 Every attention has been paid to detail. 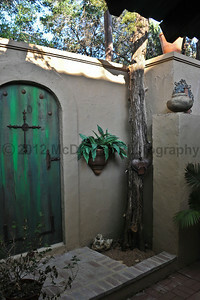 Even the door of the outdoor refrigerator has received a faux stucco finish and been fitted with an antique wrought iron handle. 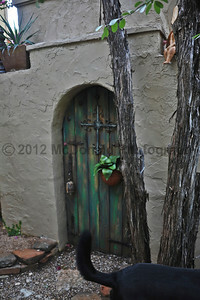 An outdoor storage shed is reached through a weathered door in the stucco wall. 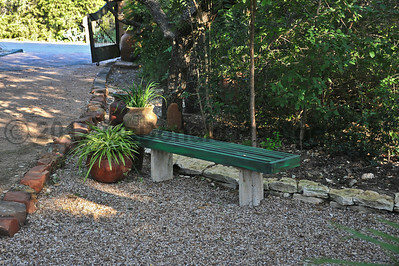 The property has numerous trails which more often than not end in an alcove with a bench and artwork and which serve as places to go for solace and reflection. 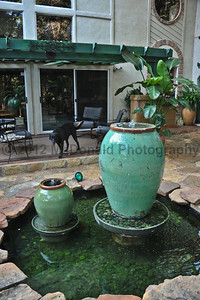 Walter is quick to point out that there is not one blade of grass on the property and in spite of the feeling of lush vegetation, ponds and fountains, their water bill is never more than $25/month.